Onbux in ye olde mowrnings: James Joyce. Pomes Penyeach. - [1ª ed.]. - Paris: Shakespeare and Company, 1927. James Joyce. Pomes Penyeach. - [1ª ed.]. - Paris: Shakespeare and Company, 1927. 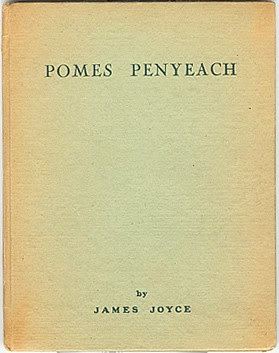 Pomes Penyeach / by James Joyce. - [1ª ed.]. - Paris: Shakespeare and Company, 1927.